10 years ago, Facebook had just launched and the iPhone didn’t even exist. Can you imagine a world without them now? Tech companies don’t rest on their laurels, though; they keep looking forward. Here are 5 technologies that’ll change the world over the next 10 years! Drones were one of the most popular Christmas gifts of 2014, with hundreds of people asking Santa for their very own flying personal servant. Love them or loathe them, there’s no doubt that drones will be a big part of the wonderful future. Imagine being able to drop something off without having to leave your house, or not having to hold a ridiculous stick to take a selfie! Unfortunately, there are a couple of things holding back the drone revolution. 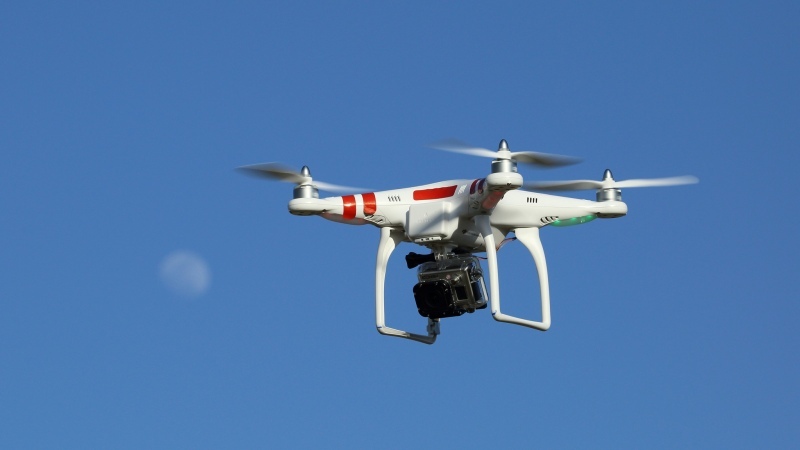 The first is the law: it’s illegal to fly a drone beyond your line of sight, and you aren’t allowed to fly one within 50m of any person, building or vehicle either. The second is that a lot of drone owners don’t actually know how to control them. Without proper drone training for owners, the future will be full of crashing drones falling from the sky – and a lot of admissions to A&E! With mandatory drone licenses and a few law changes, though, we’ll be all set. In 10 years, you’ll be able to visit space and travel back in time without having to leave your living room – and its all thanks to virtual reality. Virtual reality headsets – the most renowned of which is the Oculus Rift – could well change the world as we know it. They create immersive environments that appear to be ‘real’. While you can’t touch anything, you can look around and explore using a controller. Gaming is the main application at the moment, although there is the potential to ‘meet’ with friends in virtual bars (there’s a reason Facebook bought OculusVR for $2billion! ), conduct meetings and even revisit historical events as if you were there! The Oculus Rift should be released next year, although it’ll be expensive (sell your smartphone if you can’t wait). Give it a few years, though, and the technology should be readily available. If you thought losing your TV remote was bad, wait until you lose the remote that controls everything in your house. ‘Smart homes’, in which everything you own is connected to the internet and automated, are already a reality but should become more common over the next 10 years. You’ll be able to control temperature, automate your home entertainment system and even get your coffee machine going from the comfort of your bed with a single remote. Best not lose it, eh? Even though there are loads of smartwatches on the market already, it’s still a bit of a novelty to see someone wearing one. They haven’t taken off like smartphones, and there’s one reason for that: no-one knows what they’re for. At the moment, they essentially save you the hassle of having to take your phone out of your pocket and do a bit of fitness tracking. Eventually, though, someone will find a ‘killer app’ and smartwatches will be everywhere. We reckon it’ll be the ability to link your watch to your phone from long distances (meaning you can leave your phone at home), but who knows? Apple and Google have already launched their mobile pay offerings but, like smartwatches, they’re still a novelty; It’s rare to see anyone whipping out their iPhone at the checkout. Luckily, the tech giants have a plan to get us using mobile pay more often: they’re going to take our wallets and purses away. Soon, everything you keep in your wallet will be on your phone including your driving license, public transport tickets and store cards. Which future piece of tech are you looking forward to most? Let us know in the comments! And if you enjoyed this article, please share it on Facebook or Twitter – it’s as easy as clicking the buttons above the post!